Mobile technology today has rapidly transformed our lives, right from how we shop, travel, work and take decisions. We’re living in a world that had transformed from early telephone adoption in 1990’s to the one today where the active smart phones exceed the total global population. The Industrial and later the Technology revolution has helped to introduce intelligent sensors and devices which connect seamlessly to form the Internet of Things. The connectivity and disruptive nature of mobile in the enterprise has left many organizations to alter their business strategy by incorporating enterprise mobility solutions. Gartner has predicted that by 2015, 70% of customer interactions will originate from a mobile device. And whether this is completely accurate or a tad bit overrated, strategically aligning yourself to embrace the mobile evolution is actually now a necessity. Apart from your customers, your employees, partners, distributers, suppliers, and sales teams are also interacting more through the mobile. Enterprise mobility is focused on enabling a business to integrate and deliver innovative services quickly and efficiently leveraging mobile technology. An enterprise mobility solution should always engage customers in powerful new ways, boost employee productivity and connectivity and enable the enterprise to provide innovative services within a secure environment. Mobile enterprise solutions can enable the use of critical business applications through the use of mobile devices. By leveraging the latest mobile technologies like Android & iOS, along with data access for Internet, enterprises can now design and develop streamlined mobile apps that can be accessed from anywhere. Can you seamlessly connect your mobile workforce to back-end systems for increased productivity? Are you prepared for an exponential increase in business activity from your always-connected customers? Can you balance employee and customer privacy requirements with enterprise security goals? Is your infrastructure and architecture flexible and robust enough to support devices, apps and the Internet of Things? Are your teams responsive enough to keep up with an always-on business world and 24/7 connected customers? Enterprise mobile application development helps in improving efficiency and increase productivity by providing the right information at the right time. 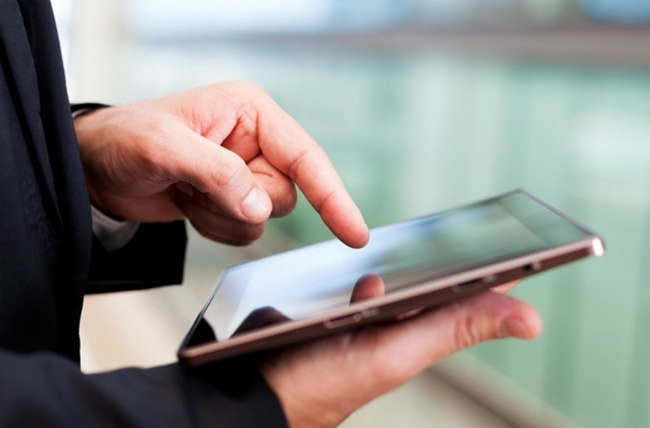 Every enterprise mobility solution comes with its set of pros and cons. In this case the pros are that it helps in increasing the productivity of employees and enabling faster decisions. On the other hand the cons towards enterprise mobility is that – it is entirely based on internet as its backbone. And if the internet connection suffers, so does the enterprise system. What should be the Road Map for Enterprise Mobility Strategy? The road map to building a high-performance mobile organization will require taking into account all the aforementioned drivers of mobility. However, businesses must incorporate a number of additional factors into their enterprise mobile strategy to truly help optimize their businesses. Firstly, you must understand the different types of relationships a business needs to service, whether business to business (B2B), business to consumer (B2C), or business to employee (B2E). It’s critical to understand which business functions and applications must be mobile enabled. Secondly, you must determine which and how many mobile platforms (e.g., MEAP, cloud, native OS, Web OS) and devices (e.g., smart tablets, smartphones, smart vehicles) will need to be supported. Third, part of building an effective strategy for enterprise mobility will involve determining whether to develop everything in-house or engage with a third-party service provider. Pursuing this latter strategy ultimately will require understanding the value that a third-party provider can bring to a business in building a mobile strategy, what to look for in a provider and what to expect. Given the complexity of all these factors, ensuring competitive advantage with regard to mobility will require enterprises to take a holistic approach that can help them achieve high performance. What risks are involved in not incorporating enterprise mobility with a comprehensive strategy? The breadth of devices and applications as well as the means of procuring them beyond the current governance structures, such as via BYOD or opex purchase of cloud services, will likely result in a loss of control and an inability to coordinate business processes and operations. This can have significant impacts including underperforming financially, incompliance with key regulations or tarnishing brand image due to stolen or misused enterprise data. The constant introduction of new technology platforms, their capabilities and devices is accelerating the need for enterprises to develop means of managing these changes more effectively in order to keep up with the market. Without a proper structure that can help keep pace with these shifts, enterprise mobility solution might not be able to identify strategic opportunities and optimize business operations, whether providing greater flexibility in aligning workers with the most appropriate set of mobile resources for their specific roles or developing a new business model to create a competitive advantage. The expanding use of enterprise mobility is elevating the complexity of integrating key stakeholders and the business processes to support them, across both business users (B2B and B2E) and consumers (B2C). Lack of a business framework that can manage the strategic points of integration to achieve high performance will likely result in an underperforming organization. The deluge of real-time data streaming from mobile devices, whether triggered by businesses or consumers, is pressuring enterprises to mine this information and uncover new and unique market opportunities. However, leveraging these opportunities will require enterprises to incorporate a broad set of key processes and capabilities that can support the collection, integration, organization, authentication and ultimately, analysis of this data. Without an integrated approach, enterprises risk losing what are becoming time-sensitive market opportunities. These missed opportunities will have the biggest impact on top-line financial performance. Organizations today have realized that integrating their existing enterprise solutions with mobile can help them achieve a better service delivery model to their customers and improve customer relationships. Some benefits of implementing enterprise mobility services & solutions are reduced sales cycles, scalable and cost-effective delivery techniques and faster response rate. Rishabh Software, a leading mobile application development company is an expert in building and integrating mobility solutions, helping global clients to achieve their business goals. Some of the mobility enterprise solutions developed in the past are custom mobile CRM solution, Workforce Management mobile app and Product catalog and sales apps that have helped our clients through Cloud, BI and Analytics integration. If you are looking to develop an enterprise mobile solution for your business need, talk to our experts at 1-877-RISHABH (1-877-747-4224) or fill in the contact form.